The vast continent of Africa is home to 54 different nations, some of the safest countries in Africa are not those which instantly spring to mind when we think of journeying through Africa. There are countries that should out-rightly be avoided, especially if travelling alone and with no agenda other than to sightsee. War-torn Sudan and militant ruled Libya should, sadly, stay far from your bucket list for now. With that said, we tend to tarnish all of Africa with the same brush. All too frequently do we refer to Africa as if it were a single country rather than the rich, vibrant and diverse continent that it is. From Botswana to Namibia, from Kenya to the Seychelles the great plains of Africa are crying out to be explored. Many people are put off travelling through Africa by negative media coverage and we say to you no, do not be put off backpacking in Africa, provided you do your research, are a contentious traveler and stay the right side of the law, travelling in Africa can be one of the most life-affirming and mind opening experiences a person can have in this lifetime. 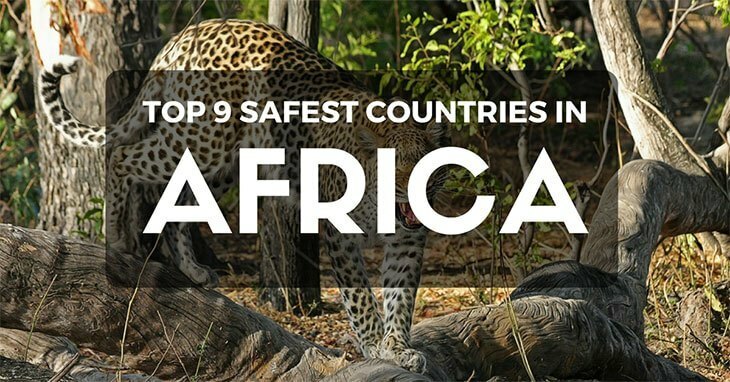 We have found most amazingly safe countries for backpacking in Africa so you can get planning your adventure right now! The same rules apply in Africa as in anywhere in the world when it comes to staying safe while backpacking. Little things like keeping your valuables on your person and always telling someone where you're going are the basic rules when on the road. The people of the African nations are cheery, welcoming, helpful and hospitable. You’d do right to be trusting and taking a leap of faith and trusting your gut while in Africa could see you experience the most authentic and genuine side of Africa there is. In saying that, like with any new country, do your research. Scams and pickpockets are prevalent but by doing your research you can stay ahead of the game and not get lured in by crafty scam artists. Let your guard down but keep your wits about you is our advice! Backpacking in Africa will be a whirlwind ride and we can’t wait for you to get out there! Botswana is widely regarded at Africa’s safest nation for travel. 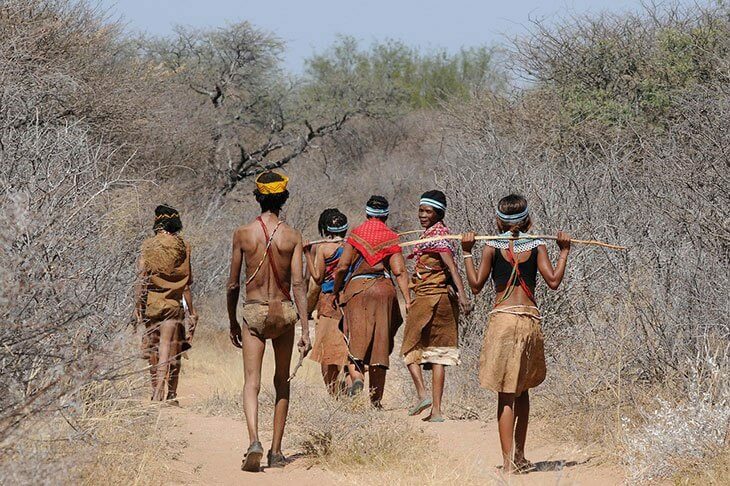 Landlocked between South Africa, Namibia and Zimbabwe Botswana is home to just 2.2 million people. The capital city of Gaborone is a great place to fly into to start your African adventure. Botswana is home to the Central Kalahari Game Reserve which has some of the most varied terrains any African National Park has on offer. With seasonal flood affecting travel at times be sure to time your visit during the drier months. Botswana is home to wondrous wildlife including hyenas and cheetahs, as well as towering giraffes too! Bordering Botswana lies Namibia and is home to the vast, expansive, golden Namib Desert which lies along Namibia’s Atlantic Ocean coastline. If you want to spot Cheetahs while out on safari Namibia is the place to do it! Home to one of the most significant Cheetah populations in Africa get your camera at the ready, able to run up to 75mph blink and you’ll miss them! 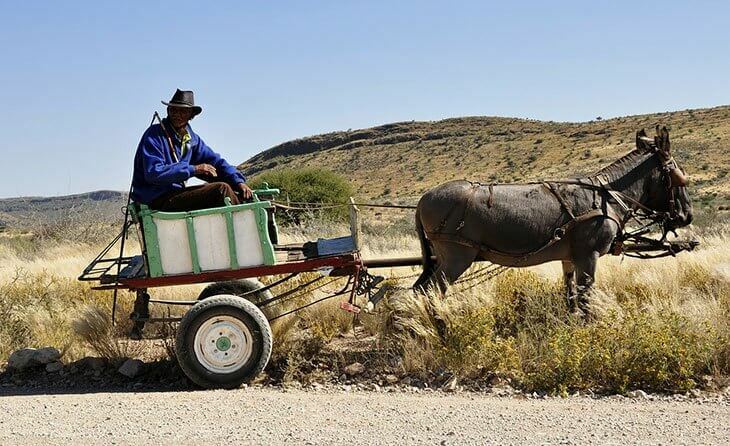 Due to it’s steady and stable government Namibia is very safe to travel in, hire a truck and head north to Etosha National Park for the best wildlife sightings the country has to offer! A little over ten years ago Malawi would not have featured on this list, however, their newly formed government has made great economic progress and as such Malawi is a pleasure to visit and explore. Lake Malawi is one of Africa's best-kept secrets. 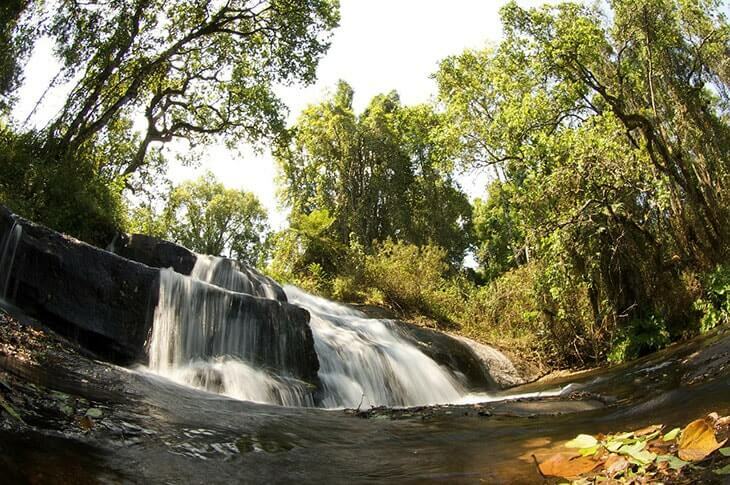 This expansive but tranquil lake features breathtaking waterfalls and diverse aquatic life. Towards the south Lake Malawi flows into Lake Malawi National Park, home to vibrant and versatile flora and fauna Malawi is a great place to find very reasonably priced safari experiences. Although landlocked Malawi is home to a number of luxurious beach resorts along the Peninsular Cape MaClear. 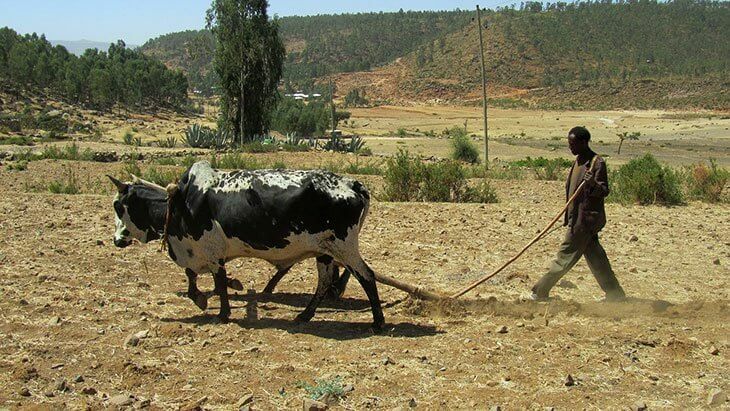 Possibly the most peaceful and placid country on the African continent Ethiopia has almost non-existent violence rates and as such is becoming more and more popular with foreign travellers and is admits a tourism boom! Located at the very Horn of Africa, Ethiopia like Botswana and Malawi is landlocked. The capital Addis Ababa has an international airport and it easily accessible from the Gulf and flights are reasonably priced too. Ethiopia is home to some amazing archaeological finds that were buried over 3million years ago! Steeped in history, heritage and culture Ethiopia is amazingly safe and a must visit! Kenya is the epitome of Africa, encompassing phenomenal safaris, kind and smiley people and easily is safe and easy to travel within. Although Kenya has been in and out for the headlines for the past decade due to a number of small terror attacks with an improved policing system Kenya has never been safer. We should mention, petty crime is prevalent in Kenya but certainly not to the extent that your safety is jeopardised. Just be sure to keep your valuables close or locked up! 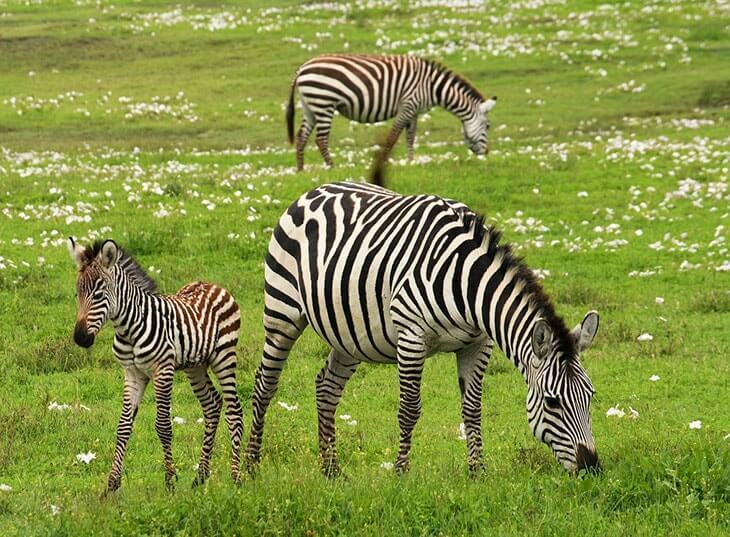 Kenya is the best place for a wildlife safari. You name it you’ll see it on safari in Kenya; elephant, lions, cheetahs, hippos and rhino too! Despite it’s heart-wrenching history Rwanda is topping the charts for low crime and terrorism rates in Africa. This country truly deserves tourism and has an amazing array of opportunities on offer. Unlike many African nations, Rwanda has amazing tropical rainforest and the mountain gorillas too. The tropical rainforest is best explored by foot and there are a great many companies who run jungle treks throughout the year. Encountering the mountain gorillas is a once in a lifetime opportunity that should not be missed! For breathtaking scenery, vivid jungle and the magnificent mountain gorillas Rwanda is the place to go! The often forgotten nation of Tanzania is under communist rule but as such is one of the safest countries in Africa. Home to Mount Kilimanjaro Tanzania’s varied terrain makes for great adventurous explorations. 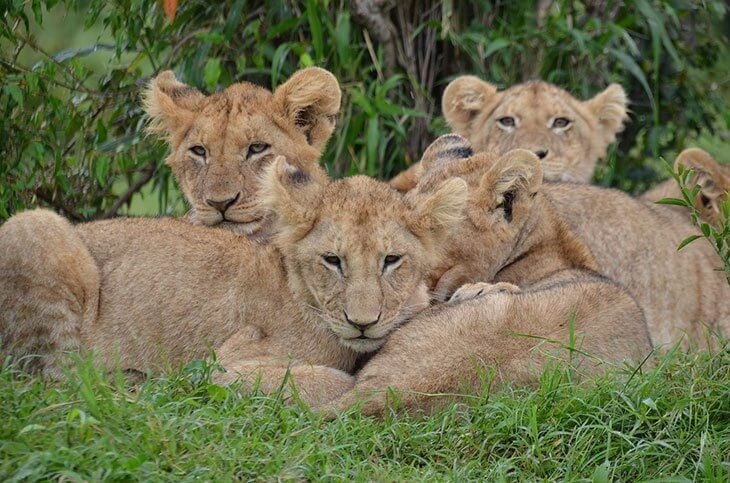 If you're an avid explorer and want to see the Kings of the Plains, the Lions of Africa then be sure to get yourself to Tanzania. The Tanzanian people are some of the most friendly people you could ever wish to meet and will welcome you wholeheartedly into their great nation. Smiles and singing will be your lasting memories of Tanzania. Situated in the south of Africa Mozambique shares its coastline with the Indian Oceana and offers spectacular white sandy beaches, picturesque palm trees and wonderful luxury resorts to enjoy. Mozambique is wonderfully safe and offers a great relaxed for backpackers. Far from party-central Mozambique is a safe place to chill, hang out and unwind, maybe rest that backpack for a day or two too! If snorkelling is your thing then Mozambique is the perfect African destination. In the Quirimbas Archipelago, you will find over 250km of vast and vibrant, very much living coral beds. The islands still have a very colonial feel as a hang-over from the Portuguese rule many years ago. Having never received any bad press or media the Seychelles are the best place to visit in Africa if you want a piece of island life with the most luxurious of backdrops. Many of the 115 have been turned into preserved and conserved National Parks which is great for the myriad of flora and fauna that the Seychelles houses. The Seychelles are possibly the safest place for travellers in Africa, we know once you arrive you’ll never want to leave! In short, yes! With over 54 nations to explore you have so much ahead of you on your African adventure! Provided that you abide by the usual backpacking rules you will have some of the most fun, memorable and most importantly safe travel experiences of your life in wonderful, amazing Africa!